It may take you just as long to search for exercises and texts on the Internet as it would to make them yourself. One way of saving time is to use "gateways" - websites containing most of what a language teacher may need. I often hear it said that teachers of English can find everything they need for their teaching tasks on the Internet. The truth is, however, that it usually takes at least as long to search for exercises and texts on the Net as to generate them yourself - if you find what you need at that very moment at all. A well-tried way of saving time is to make use of "gateways" (or "entry points"), provided, of course, that you have had time to familiarize yourself with them in advance so that you know what they contain. 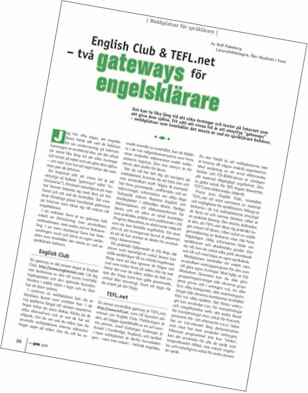 A cautious estimate is that there are hundreds of gateways on the Internet especially intended for teachers of English. A gateway in its simplest form is simply a list of useful web addresses, in other words a collection of links. In a more elaborate format the collection of links has grown to become its own website containing most of what a teacher of English might need. One gateway of the latter kind is EnglishClub.com (https://www.englishclub.com). Don't be intimidated by the apparently overwhelming homepage and its optimized layout. Instead study the page at your leisure. It has a clear system. In the centre of the homepage, you will see clickable icons depicting buildings. In the two columns to the far left and right respectively, you will find more links. Click the various alternatives and see what is on offer. If you know what you are looking for you can use the website's own internal search engine at the top of the page. If you want a quick overview of the contents, you can browse the two scrolling menus located just underneath the advertising window beneath the website logo. One of the menus is for learners, the other one is for teachers. Once you have learned to navigate the website, you will find increasingly more useful material. A few examples: there are exercises on grammar, vocabulary and pronunciation, information on different types of technical language (such as Business English) and study opportunities at schools abroad, ready-made lesson plans, a discussion forum for teachers, as well as an archive of both theoretical and practical articles published in the ESL Progress Newsletter, an electronic journal that you can subscribe to free of charge. 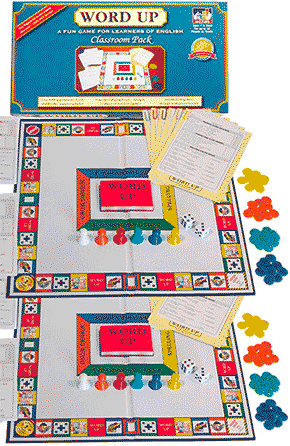 A great advantage is that the layout of the exercises is planned in such a way that they can be printed out straightaway for use in the classroom. A practical resource is ESL Help, where pupils (and teachers as well, of course) may direct questions about language to a native English speaker. 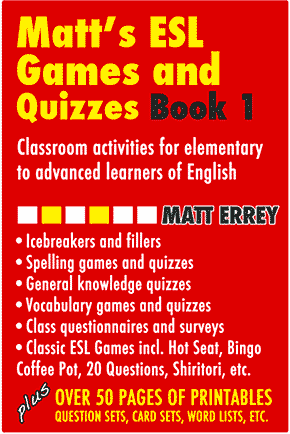 Start by reading through the questions and answers already published on the page. If you do not find the answer you are looking for, just ask your question (which could be about grammar, choice of words or spelling). Within 24 hours you will have the answer to your question. Another useful gateway is TEFL.net (https://www.tefl.net), the layout of which reminds one of EnglishClub.com. The explanation is that both sites are maintained by one and the same person, Josef Essberger. Essberger is resident at Cambridge, UK, and the language on his websites is therefore mainly - but not exclusively - British English. A big advantage is that the websites are not tied to any specific organization. With the exception of a selection of electronic books, games and CD-roms, all the material is accessible free of charge. This also holds true for the TEFL Inspire Newsletter, the electronic journal of TEFL.net. Just like EnglishClub.com, TEFL.net contains a large selection of materials and possibilities for the language teacher. Many of the links on the two websites in fact make use of one and the same database, which is a practical solution. The most important difference is that TEFL.net is practically intended for teachers only, which becomes clear by a quick scan of the links. In consequence there is a wealth of information on language courses as well as academic degrees. If you like, you can apply for a job abroad, or buy your own language school. The website has a simple but useful toolkit for teachers who want to make up their own exercises. By means of the "ESL Worksheet Generator" you can generate sorting exercises (where learners are to sort given words into two, three of four different categories), as well as matching exercises (where learners must combine words from two different columns). The first tool can be used for example for translation tasks and irregular verbs; the second one also for translation tasks, as well as for verbs in phrases, for Christian names and surnames and so on. There is a two-minute demonstration to show how to use the tools. Since the program cannot "think", it can be used for any language allowed by your keyboard, not only English, and indeed also for subjects other than language. Translated from a 2007 Swedish language review by Rolf Palmberg in Tempus (published by kind permission of SUKOL, The Federation of Foreign Language Teachers in Finland).